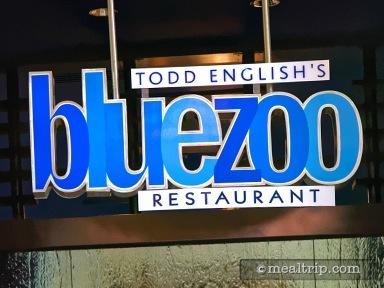 Todd English's bluezoo in the Dolphin Hotel features a well designed interior created by architect Jeffrey Beers. There is a unique interplay between glass and light in the upscale environment. From a culinary standpoint, bluezoo offers what could be described as "coastal" cuisine, highlighting various seafood dishes from around the world. There is also an in-restaurant lounge (which they refer to as a "chic bar") that offers a few additional small plate and flatbread type items, in addition to the full restaurant menu.